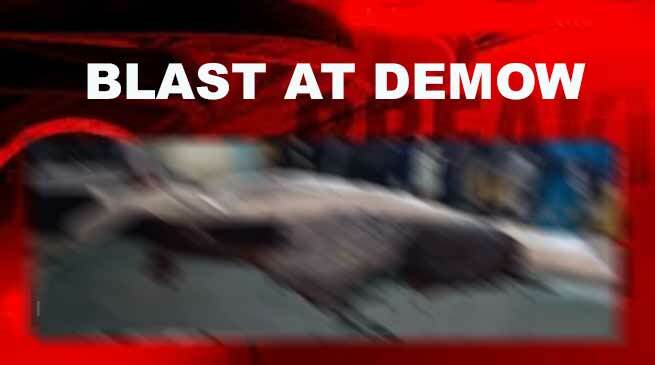 Two person was killed in a grenade Blast in Assam’s Demow town today at about 05:30 pm. Blast took place near a cycle shop name Hanuman Hardware. The owner of the shop is Kamal Agarwala. According to Police , injured person has been identified as Kamal Agrawala. Injured Kamal rushed to Assam Medical College Hospital (AMCH) in Dibrugarh. The government is acting spineless, activities which came to a hault have now started springing up. The agenda be whatever common people having to bear the torment. We should call for indefinite strike all community across.